Five non-fiction books of 2016 you should definitely read! The Return is also a monument to the extraordinary redeeming power of art against the conundrum of authoritarian politics. The past year was encapsulated with great works of literature – especially when it came to non-fiction. The following five books delved deep into relevant issues in today’s world. It’s a searing and poignant book that deals with the abduction of Matar’s father, Jaballa Matar, in Libya. Hisham Matar’s memoir, The Return, a tear-soaked love letter to his father, towered over all other non-fiction books written last year. It’s a searing and poignant book that deals with the abduction of Matar’s father, Jaballa Matar, in Libya. Jaballa was a major opponent of the Qaddafi dictatorship. In 1990 he was kidnapped, and much to Matar’s melancholy and horror, never found. This beautiful and heartbreaking memoir is a timely meditation on love and loss, on the ineffable bond between fathers and sons. It is also a monument to the extraordinary redeeming power of art against the conundrum of authoritarian politics. It charts the dissolution of the Soviet Union, using a polyphonic narrative of ordinary Russian voices. The 2015 Nobel Laureate, Svetlana Alexievich, in her most remarkable and luminescent book to date, Secondhand Time, charts the dissolution of the Soviet Union, using a polyphonic narrative of ordinary Russian voices. In this book, Alexievich is not interested in offering a chronological historical account of the disintegration of the Soviet Union, what she is really interested in, though, is a trove of emotions and memories, people’s account of happiness, agony, agitation, fear, uncertainty and anxiety. Alexievich synthesises an array of voices into a riveting tableau, and in doing so she creates a remarkable history of the people and of the Soviet and the post-Soviet individual. Reading this book is like having a one-sided conversation on the telephone, where the narrator recounts a moving and sometimes harrowing account of the atrocities committed and you, the reader, listens, transfixed, despite the gruelling nature of what is being told. It is a profoundly important and illuminating book. 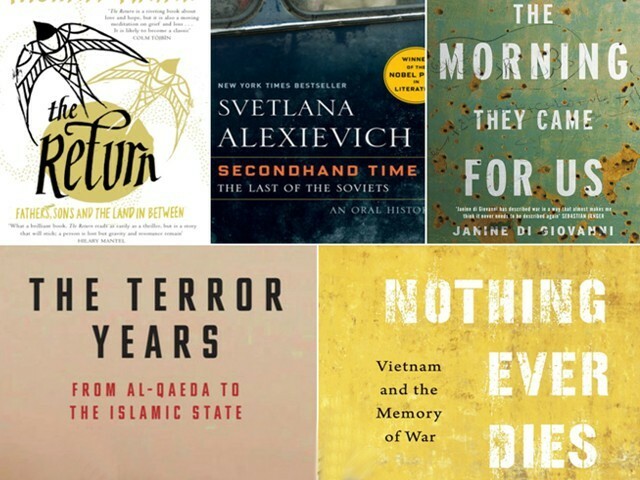 In her remarkable book, The Morning They Came For Us, the fearless war reporter, Janine Di Giovanni, takes on an Alexievich- like approach to gather dispatches from the war-torn Syria to create a cornucopia of first hand stories of devastating and unthinkable horrors. Her evocations of the carnages of war have elicited comparisons to the likes of Michael Herr and Philip Gourevitch. It is a profoundly important and illuminating book that, with the insight of an investigative journalist and the storytelling prowess of a novelist, answers the questions in this still-unfolding history. Although Giovanni’s passionate writing is suffused with brutal and trenchant images, it never loses the compassion for her subjects and an acute appreciation of human courage and resilience in the face of a nation on the brink of an apocalypse. This spellbinding and powerfully written book is a thoughtful reflection on ‘identity of war’. Viet Thanh Nguyen’s brave new book explores the socio-political dynamics of the Vietnam War and examines the damage it inflicted on the collective memory and conscience of both the nations involved, Vietnam and the US. This spellbinding and powerfully written book, with echoes of WG Sebald’s hybridisation and Susan Sontag’s inquisition, is a thoughtful reflection on ‘identity of war’. Nguyen’s penetrating scholarship, compelling back grounding, and cogent narrative becomes the voice for a nation and its people that have been silenced, subdued and have seen almost continuous conflict. For readers who are generally interested in the background of the Islamic State, this is a comprehensive and imperative read. In his Pulitzer Prize winning book, The Looming Tower, the New Yorker writer, Lawrence Wright, gave us a joltingly intimate and heart-stopping account of the events that led to 9/11. In The Terror Years, his remarkable follow up to the former book, he traces the roots of conflict in the middle-east and the trajectory of its metastasis into an escalating conflict on a world-scale. It’s an extensively researched and deeply reported account about al-Qaeda and its metamorphosis into ISIS. 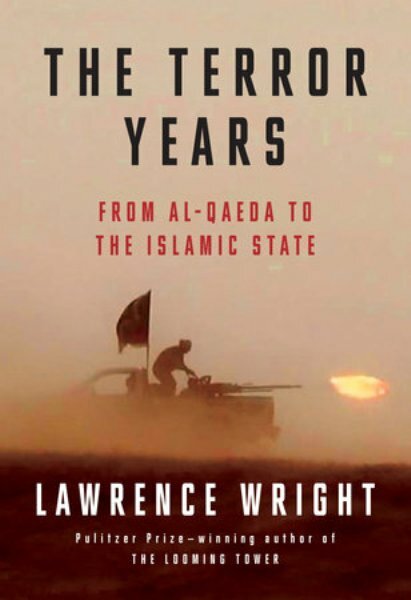 For readers who are generally interested in the background of the Islamic State, this is a comprehensive and imperative read. It is a book that is daringly sweeping in its historical perspective and is fuelled by an urgency and narrative impact of a thriller. 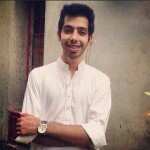 The author is a Karachi-based freelance writer.